Muhammad Qasim Otho Sindhi Classical Music Singer. He is great Sindhi Classical Music, Sindhi Folk Music, Sindhi Lok Music Singer. He was great Dastan Music Artist of Sindh and create great name in Sindhi Old Music. Sindhi Singer Muhammad Qasim Otho is great Sindhi traditional singer he sung great songs in Sindhi language. He sung Sindhi Lok Dastan Songs with efficiently and great performance in Sindhi songs. He was master of Sindhi Classic Music and this Lok singer is a natural storyteller and he sung a songs with story telling. Otho Sahib performed his music distribution from one village to next village. Otho Sahib providing late evening performances for rural areas and small towns with audiences. He has sung Sindhi Cultural Lok Classical Mousqui in open Marriage ceremonies and also in Mela and his songs are most demanded in peoples of Sindh. Muhammad Qasim Otho was stylish Sindhi Singer. Sindhi peoples like Dastan Music and listeners like lok Dastan such as Umer Marvi, Sassi Panu, Dastan Qarbala, Dastan Leela Chanesar. Muhammad Qasim Otho performed well in the musician of lok Dastan. 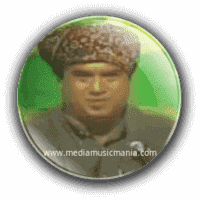 His singing style takes place in a live setting, perhaps at an open air "Mehfil" in "Aotaq" and he performed well in Radio Pakistan and Pakistan Television. His singing style is different than other singers, he was master in classical songs and also performed as a best artist province of Sindh. I have selected below most popular Sindhi Lok Music of Muhammad Qasim Otho.